Throughout history, there have been some examples of multi-disciplinary brilliance which have gone on to change the game forever. One such game changer is the new WORX AeroCart; a highly adaptable and incredibly useful tool for around the home and garden. 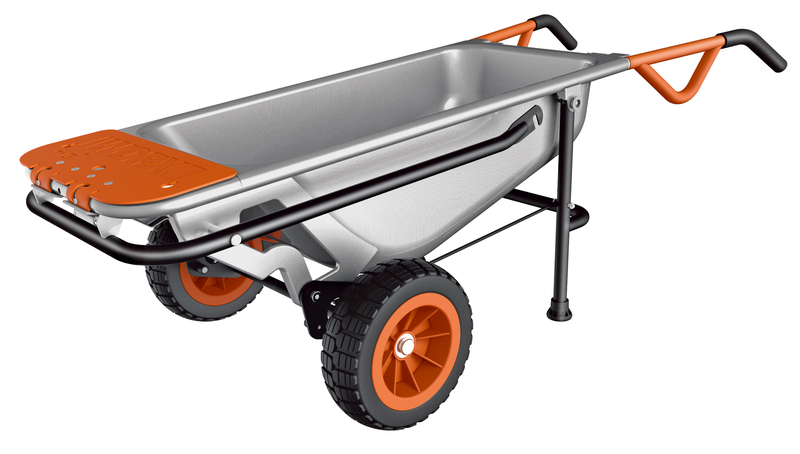 The AeroCart is reminiscent of the traditional wheel barrow, but is capable of so much more. To start with, the centre of gravity has been redistributed, which means the maximum load is a monstrous 135Kgs. 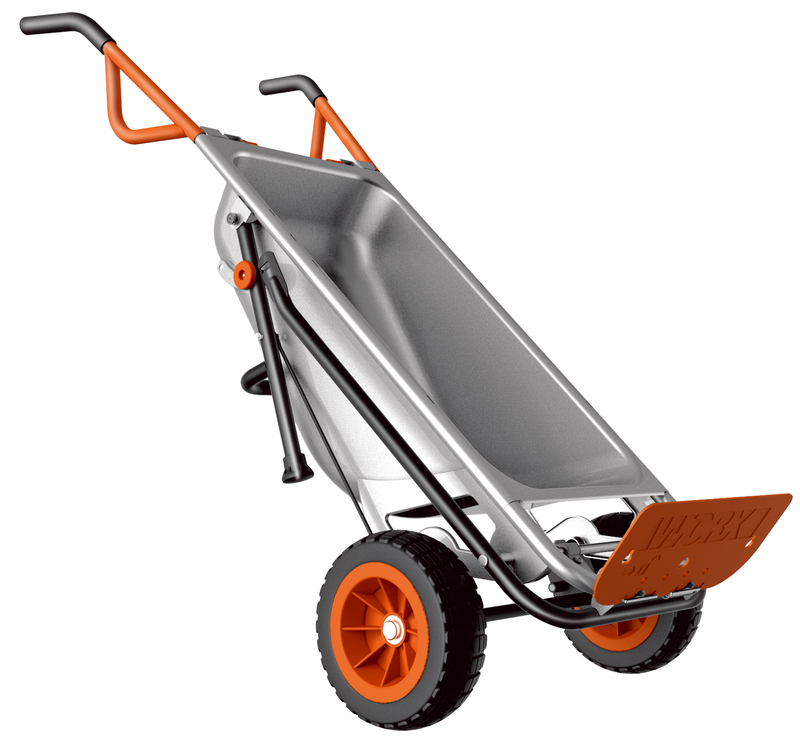 With two wheels ergonomically placed at the front of the cart, your 135Kg load will require just 11Kgs of effort when you lift it, compared to the 45Kg output that a traditional wheel barrow would require under the same barrow load. In addition to these impressive barrowing benefits, the AeroCart converts into a sturdy dolly that will fit through a standard sized doorway. A highly versatile fulcrum allows you to transport irregular shapes and objects thanks to the Extendable Arms and a range of Moving Straps. The AeroCart also has a sack holder attachment which will hold open a garbage bag while you fill it with fallen leaves. A Cylinder Holder is positioned closer to the base of the cart, allowing you to secure buckets, propane tanks, water barrels, and plenty more. There’s even a detachable strap for carrying heavy rocks or ornaments, and a handy tow hitch attachment to save you wheeling heavy loads across long distances. So there you have it; the AeroCart is one of those rare creations that will change our expectation of the humble wheel barrow forever. With the WORX AeroCart, you have eight unique and highly useful functions and one incredible piece of equipment for all jobs around your property.